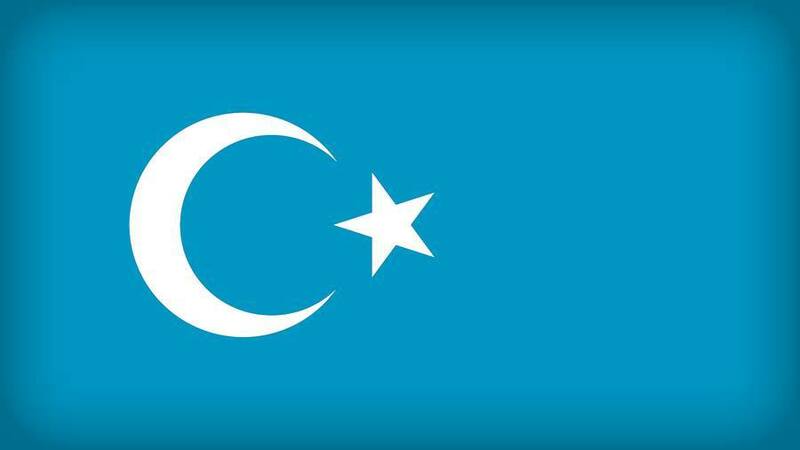 “I ask the Chinese government to execute my mother and my wife, and I will pay for the bullets!” told Abdurahman Hasan, an Uyghur businessman from Kashgar, to Istiqla TV, a Turkish based media outlet in Uyghur language, last week. This is the first time he has openly ever criticized the Chinese government’s abuses of the human rights in East Turkestan, despite all of the potential dangers that his other family members and his business may face from the Chinese government. His mother, Amina Memet, a 68-year-old retired teacher who had worked for 30 years for a local government in East Turkestan, and his wife, Tunsagul Nurmuhemmed, mother of two children and a 22-year-old housewife, have been being detained in concentration camps for almost a year, and the whereabouts of his two young children remain unknown. Abdurahman is a successful businessman in his fruit exporting business to bordering Central Asian countries. In 2015, he invested a fairly large amount of money to build a soccer sport (Uyghur football) school and club to promote local football industry in Kashgar, a city bordering Pakistan in southern East Turkestan. For that reason he became a target of routine surveillance to the local authorities for his influence in Uyghur society. He left China in January 2017 to Turkey when the local government began to crack down on all kinds of influential Uyghur public figures and send the people who considered by the government as politically unreliable to concentration camps. Why his mother and wife detained? He has not been able to contact with his family almost a year after he left China to Turkey. He thought they were sent to so-called re-education camps. But when he got to know about the real conditions of the camps and the situation of his mother in the camp last night ,he couldn’t help keeping silence about the tragedy, and decided to stand up to tell the truth to the whole world. Abdurahman Hasan said he was told that, because of her old age, she was not able to recite the political propaganda of the CCP authority, as a result she was forced to starve all day long. Abdurahman said, “I was told that the concentration camp where she is kept is one of the best, and has the best conditions. It was prepared for only government officials and so-called two-faced officials. But the conditions of other average camps, similar to the one in which his wife was being held, are much more terrible. Amina, 68 (left), and his son Abdurahman Hesen (right). Amina’s picture was taken just before she was taken away to a concentration camp by the local authority. Many media organizations around the world have recently reported that a large portion of the Uyghur population is being detained either in jails or in so-called “re-education camps” (http://freedomsherald.org/ET/unb/ ) while their children are being kept in countless orphanages in the East Turkestan. The number of the Uyghurs currently being held in these Nazi-style political “re-education” concentration camps is more than 1million. That is a number known officially inside East Turkestan, but all the unofficial numbers we obtained from various sources exceed one million. The conditions of the concentration camps are horrific because of the fact that such a large number of Uyghurs are locked up in relatively small and crowded spaces. We have also learned from some Uyghurs who recently lost their close relatives in the concentration camps that a significant number of Uyghurs are losing their lives in those camps every day. The families of the victims are just receiving their dead bodies from those overcrowded concentration camps. The local authorities are not giving back the bodies of the younger Uyghurs died, instead, just burying them in the nearby empty fields. This and what Abdurahman Hasan has told us above are just a few examples of the horrible conditions in these concentration camps.